Arcturian Ascension Tools: Help Crowd-Fund This New Stargate! All the events will be free of charge and open to the public. 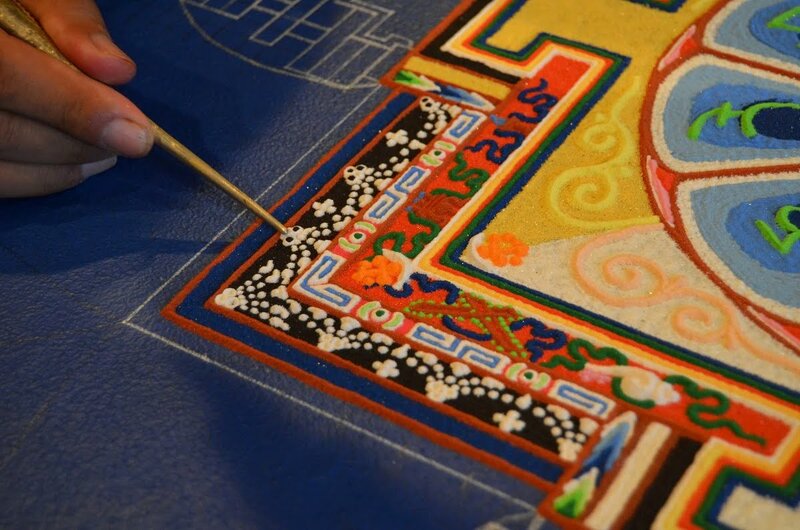 A group of monks from the Gaden Shartse Monastic Community in Mungod, India will be in Boulder from September 12 – 19 to create a Sacred Vajrasattva Sand Mandala at the Boulder Public Library. This will be an integral part of the ZEE Jaipur Literature Festival at Boulder being held in the library. They will construct a Buddha Vajrasattva Mandala over the course of five days, giving a Vajrasattva Empowerment on the last day just prior to the Dissolution Ceremony which will include the distribution of Sacralized Sand to those in attendance. A limited number of Individual Healing Sessions with the Lama, as well as House and Business Blessings can be arranged by calling Dennis at 970-379-0983. The Monks will be presenting a special Blessing Ceremony at the Arapahoe Campus of Naropa University to remove any and all obstructions and obscurations to the continued success, funding and expansion of their contemplative educational curriculum. This event is free and open to the public and will be held outside under the spreading Sycamore tree (weather permitting). The third installation of the ZEE Jaipur Literature Festival at Boulder will bring more than 70 authors from around the world to explore today’s hot topics while engaging the community in essential dialogue. Thought leaders from throughout the world will discuss and debate key issues of interest in 40 sessions throughout three days. Programs will appeal to a wide audience of ages and interests.